It was a seven-hour drive from Maryland to Vermont, but we looked forward to traveling after being cooped for months at Johns Hopkins. We also decided to drive since I'm not yet allowed to travel by plane. I cried when we backed out the driveway. A lot of anxiety and fear came over me. I was scared to leave home; I feel unsafe being far from home or far from the hospital that's treating me. I didn't know that fear like that was even possible for someone who loves to travel. When we finally crossed the border to Pennsylvania, I started feeling at ease and looked forward to Ana's wedding. I started enjoying the scenery. Our rest stop in Vermont. It was drizzling when we got there. 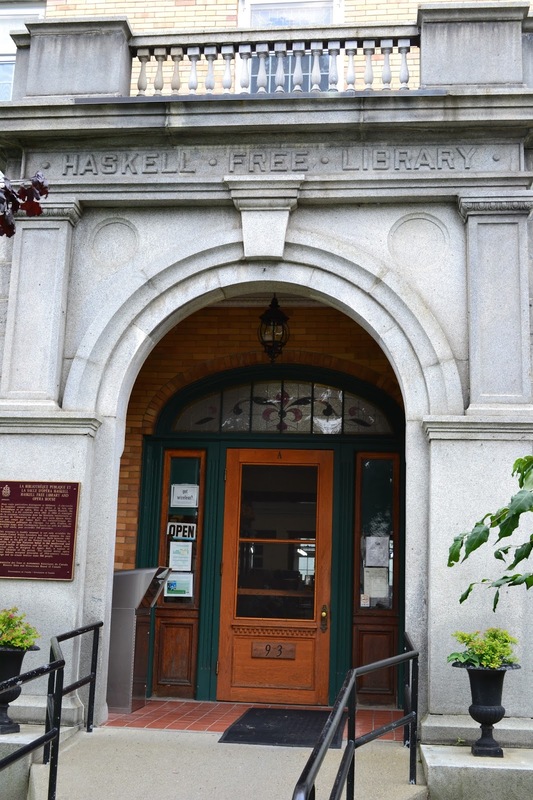 Before we crossed the border to Canada, we visited the Haskell Library. Entrance to the library...nothing really spectacular. Who goes and visits libraries? 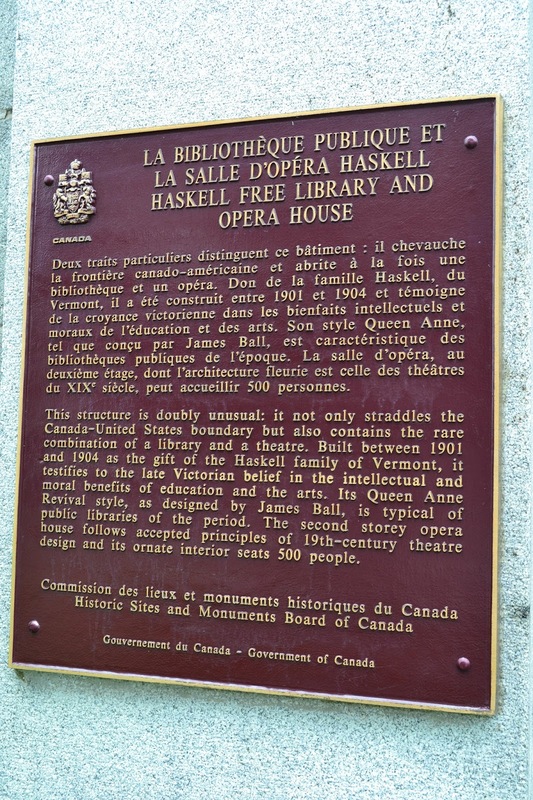 Well, this library is special because it was purposely built on the border of US and Canada. A symbol of friendship and goodwill. 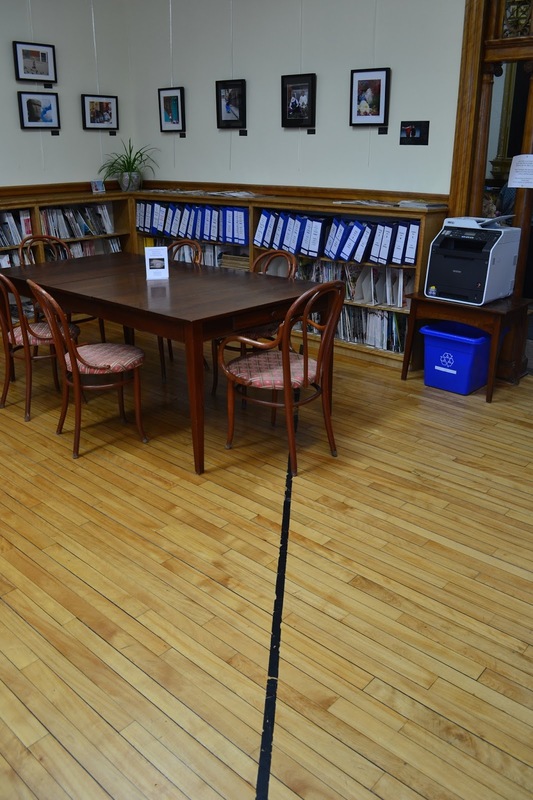 You see that line in the middle of the library? That's the border line between US (left) and Canada (right). The Haskell Library from the US side. From here, we went through the Canadian Border Patrol and entered Canada. Haskell Library is quite an interesting place to visit. The neighborhood of Stanstead, Quebec and Derby Line, Vermont is quiet and picturesque. In three hours, we'll be in Montreal. Oh what a great goodwill symbol. I can totally understand your reluctance, well fear, at going beyond your comfort zone for the first time in months. Now that you have gotten your travel legs back, I'm sure there is no stopping you. Thank you, Photo Cache. It will probably take me some time to get my travel legs back in full swing, but deep inside, I do miss traveling. I love to visit libraries and museums kkkk. This library is quite interesting. I hope you're feeling better and you enjoyed the whole trip. Take care. I'm amazed at the borderline haha. this is a good place to commune both with nature, history and arts... thanks for sharing Kayni!